Will “Employee Experience” Be In Your Next Title? 6 groups with “Employee Experience” in the name- the most popular one has 879 members. Is “Human Resources” old school? When you think about it, “human resources” does sound like an antiquated and non-politically-correct term. Are employees really the company’s resources? “Human resources” is a corporate term to specify the different inputs needed for a company to produce a product or service. When viewed as a cog in the machine of corporate gains, “human resources” really doesn’t do an adequate job of describing employees. After all, companies are really made up of a group of people that produce value for customers. It’s your people that ultimately drive the company’s success. Google has a nifty tool to show how popular a term is on the search engine. Google Trends allows you to see the relative interest in a term over the past five years. If you do a search on Google Trends for the term “Employee Experience,” you will see a 140% increase in interest by comparing the average popularity value of 35 in 2011 to 85 towards the end of 2016. If you compare interest in “Employee Engagement” you will see that “Employee Experience” has a ways to go to catch up. Nevertheless, the trend in interest for “Employee Experience” is still climbing. What is the employee experience? 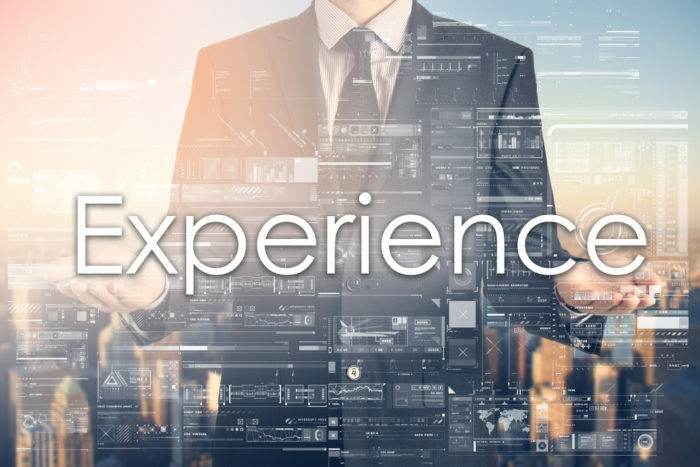 Simply put, the employee experience is the sum of the various perceptions employees have about their interactions with the organization in which they work. These perceptions drive how employees feel about their work and how much effort they put into their job. The employee experience determines how effective your company is at attracting, retaining, and engaging your workforce. Are we in the middle of a major shift in mindset when it comes to employees? I hope so. As the global economy grows and competition becomes more intense, the war for talent will only become harder. Attracting, retaining, and engaging top talent will be the key advantage successful companies use to win in this era, and it all starts with creating an amazing employee experience. Question: If you are in HR, will you be replacing “human resources” with “employee experience” in your title? Did you do so already? Why? This article originally appeared on the DecisionWise blog. Charles Rogel is Director of Products and Marketing at DecisionWise, a management consulting firm specializing in leadership and organization development using assessments, feedback, coaching, and training. He has an extensive background in international sales and consulting.